Are you in the market for great-looking towels that are super-absorbent, feel great to the touch, and dry quickly? Look no further than Martha Stewart's Quick Dry towel collection. Manufactured by Trident, these towels are a great addition to any home! 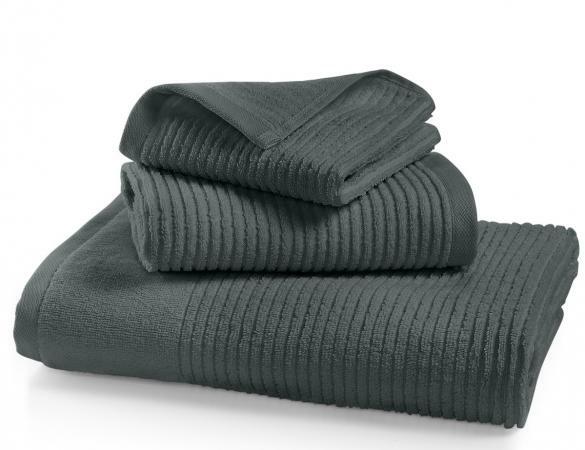 These 100 percent cotton bath towels are some of the best I have used. While it seems that most towels have to be washed several times in order to be very absorbent that is not the case with these towels at all. They are very absorbent, even from the first use. Plus, they do tend to dry very quickly - which shouldn't be surprising in light of the name of the collection (Quick Dry). These towels also have other great features. For example, I really like the fact that each side of the towel has a different texture, which is a feature the brand describes as being "reversible." This is particularly helpful if you share a bathroom with someone whose towel preferences are different than yours. If you like textured towels, there is a side that is textured. If you prefer smooth towels, then use the smooth side. What could be easier than that? They come in a wide variety of colors, so options are available to coordinate with virtually any bathroom decor. The come in ivory, white, several shades of blue, a few gray tones, light and bright pink, red, green, lilac (purple), and walnut (beige/light brown). These bath towels are a good size. They are not tiny, but they also aren't massive bath sheet style towels. They are 27"wide by 52" long. They are a little narrower than most towels this same length, but the size works out very well. An Amazon reviewer points out that the towels "hang well over bathroom towel hangers," which is a function of their size. If you're looking for a great everyday towel, it's hard to go wrong with this style. Whether you are shopping for your own home or purchasing a gift, these towels are a terrific option! Note: The author received a sample towel for review purposes at no cost. The opinions shared here are her own.